Hope you are having a great time during your well-earned holidays after your tiring examinations and tedious work during your semesters. Now is the time to prepare for tests like GRE/GMAT/TOEFL/IELTS and SAT, in order to start your application process for admission in universities abroad for Spring (January) or Fall (August) 2019 intake. As always, Manhattan Review has lined up wonderful discounts and offers for you when you enroll with us for tests preparation and/or Admission services. Just contact your enrolled center for further information on how we could help you with your test preparation and admissions abroad – in USA, Canada, Germany, UK, Australia and New Zealand. 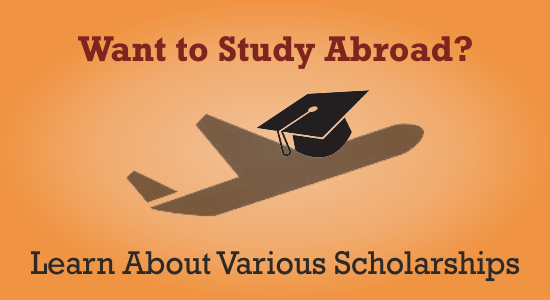 Wichita State University has announced Global Select Scholarships to international students. These scholarships will reduce the student’s tuition by more than 36% — potentially saving the student MORE THAN $20,000 in tuition during their study at Wichita State. Note: The above amounts are estimates. The actual amount will vary depending on the number of credit hours the student enrolls in. The scholarship does not cover fees. Scholarships are for Fall 2018 and later. Only available for new international students to WSU. Scholarship will be determined only after a student formally apply for admission and submit all required application materials. GPA of 3.0 (out of 4.0) or its international equivalent. The Office of International Education will determine the student’s eligibility for a scholarship after they are accepted for admission. Scholarships are GUARANTEED if the student meets the above requirements. And the News Gets Even Better! WSU’s (Bachelor’s) undergraduate applicants are being offered a $50 discount when they apply for admission. The $50 discount is only available for new undergraduate applicants for Fall Semester 2018. Not available for students applying for graduate admission. The graduate application deadline for Fall Semester 2018 has now passed. The next available intake is Spring Semester 2019. Manhattan Review is extremely pleased to inform you that we are working with another US university – IGlobal University, in Virginia, USA (www.igu.edu) which is flexible with admission and offer excellent value-for-money in terms of costs and benefits to international students. I Global University has very low tuition and fees, with excellent discount on tuition. More importantly, the university is offering FREE ACCOMODATION to all students who enroll with them, starting Fall 2018. Best of all – you can still apply for Fall 2018 intake and leave for USA in the next two months. And, here is icing on the cake! We can assist you with even if you have below average profiles also (less than 55% and multiple backlogs/attempts. The University is fully accredited to the respective accreditation bodies and have a very good number of American and international students. IGlobal offers – Master’s programs in Information Technology (MSIT) and MBA. Also on offer are Bachelor’s programs in Information Technology (BS IT) and BBM (Business Management). Hope you will take advantage of these fantastic offers and knock our doors to enter a portal (USA) full of opportunities and that offers a BRIGHT FUTURE!